One of the biggest adjustments that first-year students have to make is the transition from high school coursework to college-level coursework. For many students, freshman year will be the first time they receive a grade below an A or B. While you'll be sure to encounter some challenges, academics in the Smeal College of Business are some of the best and will prepare you for a future in the business world. 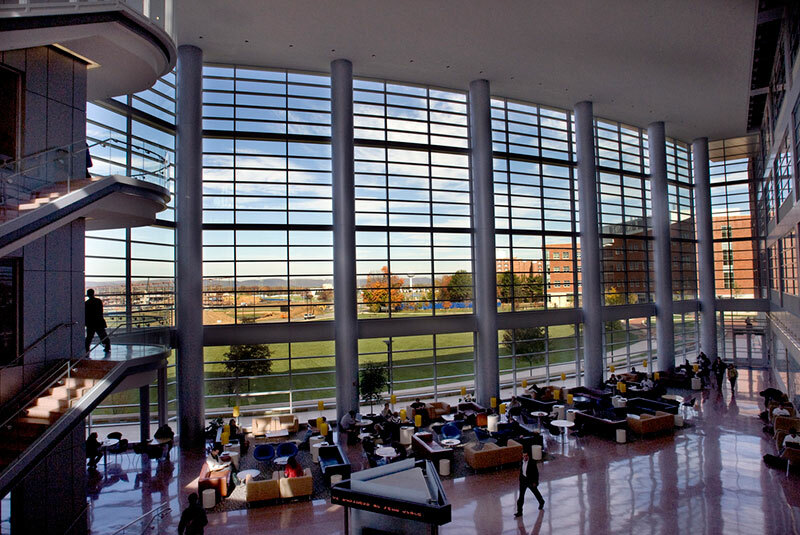 Students have the opportunity to choose between nine majors and four minors offered within the Smeal College of Business. Students apply for entry into their respective major during the spring semester of sophomore year. In the semesters leading up to declaring a major, your schedule will consist of general education courses and introductory classes related to different areas of business. Take advantage of these first two years to explore your passions and discover where your skills lie! Entry to all Smeal majors requires the same introductory courses which must be completed by the end of your sophomore year. However, different majors have different GPA requirements. It's important to set up periodic meetings with your advisor to ensure that you're on track to completing all entry to major courses on time. *Mentor Tip: Make sure you thoroughly read all of your syllabi at the beginning of each semester. Grade cutoffs are often different than those in high school, and many students don't realize until halfway through the semester that a 90% in some classes is an A- rather than an A. This is significant because of the difference in values when calculating your GPA (3.67 vs. 4.00). Smeal not only takes pride in its academics, but also in its commitment to academic integrity. Ethical behavior is a fundamental part of business and Smeal is committed to teaching the importance of honor and honesty to its students. The Smeal Honor Code represents our commitment to upholding values of honor and integrity during our time at Penn State. Students have an opportunity to sign the code at the beginning of the year before it is hung in the Business Building to remind students the importance of ethical behavior. If you would like to learn more about the Smeal Honor Code and what it means for you, please visit: http://ugstudents.smeal.psu.edu/honor.